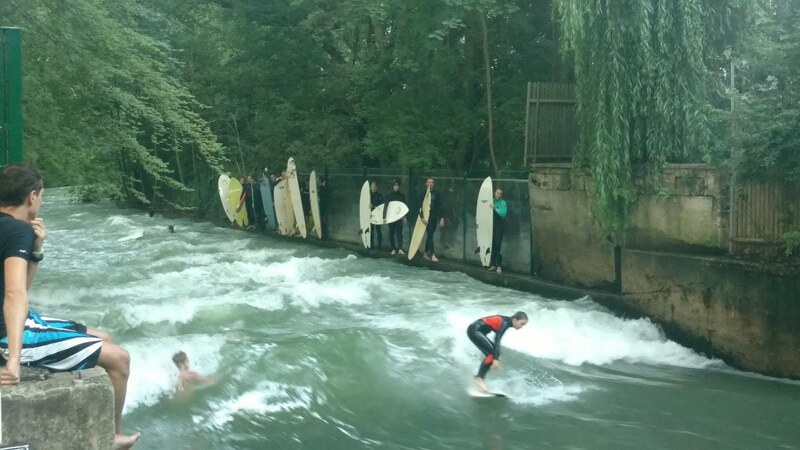 I genuinely believe if you polled a thousand tourists of sights they'd witness in the landlocked southern German city of Munich, the resurrection of Hitler would, from a perceived statistical likelihood, be deemed 1000 times likelier than "surfing." "I guess maybe if you had DNA and some crazy Google computer, but surrfffinng?" That's why y'all shouldn't gamble! Betting on Hitler's resurrection, really?? 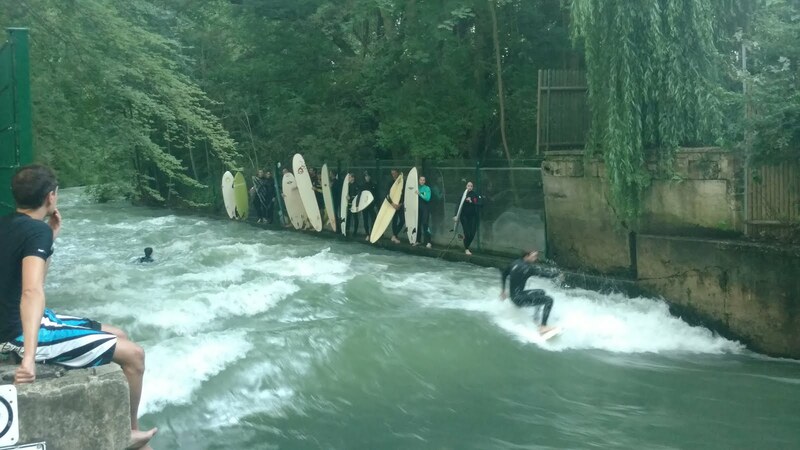 Lo and behold, in the English Garden, due to a fast moving current of the local river and some water hazards placed below the surface by some intrepid (defined as "stupid") souls, two areas have been created where German "surfers" are able to ply their craft. There they are lined-up, waiting for their turn to practice. Given that Munich might be the greatest distance from a coast in Europe, it's an affront to German efficiency and practicality, but I admire the fact they have dreams, and are willing to go against convention. Here is the second location where surfers do their best to Hang 10. 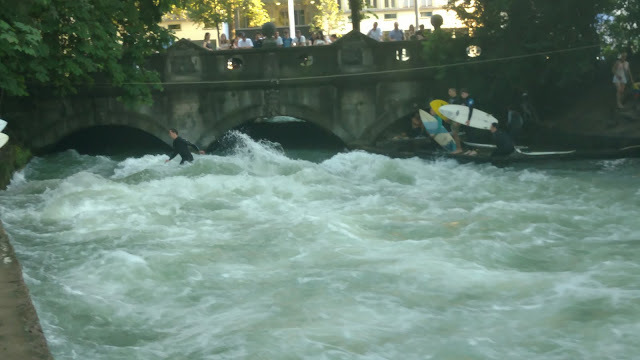 If you would have told me before I saw it with my own eyes that I'd witness people surfing in the middle of Munich without some indoor wave pool, I'd have tried to sell the Brooklyn Bridge or referred you to some cult for ultra-gullible people (UFO's, Christianity, etc.) but now that I've been proven 100% wrong, yes, I do see Jesus in the spaceship ready to take us away to heaven.